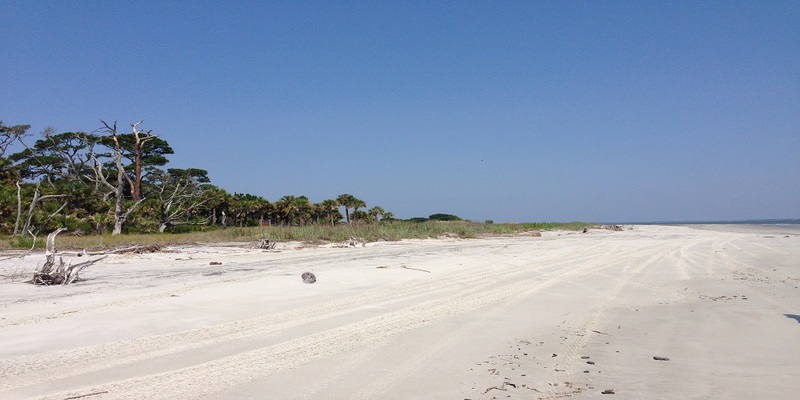 Wassaw Island is a 10,000 acre wildlife refuge on Georgia’s coast. This island is only accessible by boat and relatively undisturbed by humans. My science class took a trip to this island to wrap up our unit on pollution. We spent the day sweeping the beach for trash and learning about the debris we collected. Although many types of debris were present, the biggest pollutant was plastic. We found everything from disposable water bottles to trash bags so buried in the sand that we could not remove them. This came as no surprise to me, but it did help me visualize how big this problem is even in my own backyard. Plastic is one of the greatest contributors to water pollution. In fact, about 8 million tons of plastic end up in the ocean every year and this number is estimated to increase. Plastic and other ocean pollutants can take hundreds or even thousands of years to decompose. Even after it has broken down, the tiny microplastics that are created continue to cause harm to organisms. As part of our hands on learning experience we had the opportunity to see the microplastics under a microscope. This shows that even if we can slow down the source of the pollution, the harm we have already done will not cease to have consequences. Obviously, most of the ocean pollutants come from the land so clearly there is a way for humans to assist in a solution. One way would be to produce and use less plastic. If we switch to more environmentally friendly materials, less plastic will be able to reach the ocean. While this does not fix the damage already caused, it does stop it from getting worse. Another way is to have more beach cleanups like the one my class participated in this year. This can stop plastic pollution before it finds its way into the water. Bringing awareness to this issue is the first step to finding a solution. In my own community, many restaurants have stopped using plastic drinking straws and a ban on plastic bags has been discussed. If more communities began to go down this route, we could put a huge dent in our pollution problem. Editor's Note: Kyra Stillwagon is an inaugural EarthEcho Water Challenge Ambassador, a group of young leaders working to engage their communities in water quality monitoring and conservation efforts while increasing their knowledge of water science and gaining skills to expand their work in this field. To learn how you can join Kyra in taking action to protect waterways in your community, check out our EarthEcho Water Challenge resources.